A black forest cake is one of the most popular cakes in the world. Every chocolate lover has a special feeling for this wonder cake. Topped with some cherries and berries, this cake would be a perfect gift of love on all kind of festive occasions. 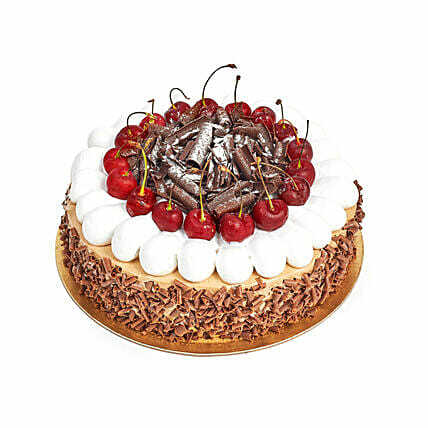 So, Make your loved one enjoy and cherish the day with this finger licking Black Forest Cake. "It was awesome experience but little expensive"
"Thnku so much u made my day special"
"The cake was delivered, but the message card sent along with that was not."